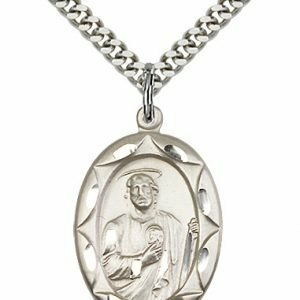 This is a unique necklace in that you get two sacramentals in one: a St. Benedict Medal (in the center) and a crucifix. 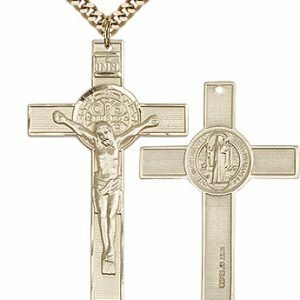 The crucifix is one of the greatest symbols of Christianity and it is also one of the most popular sacramentals. 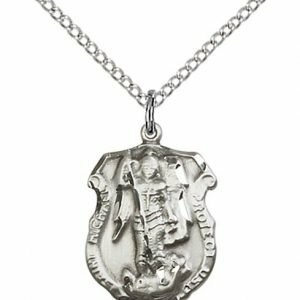 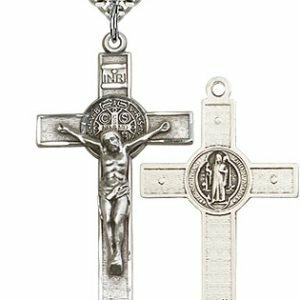 St. Benedict’s medal is also very popular, mostly because the saint is such a powerful patron; those who wear a St. Benedict’s medal or crucifix have experienced his powerful intercession. 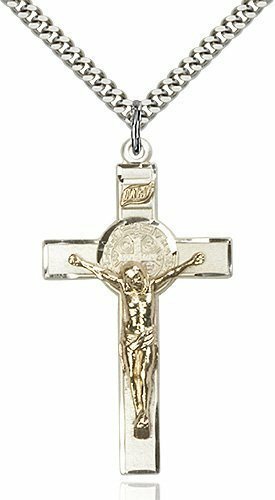 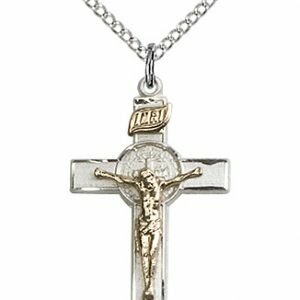 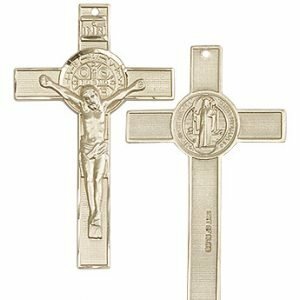 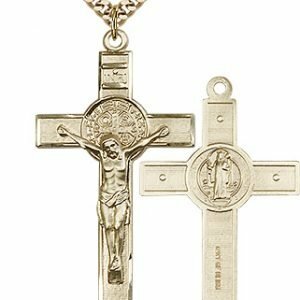 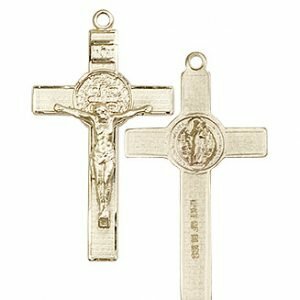 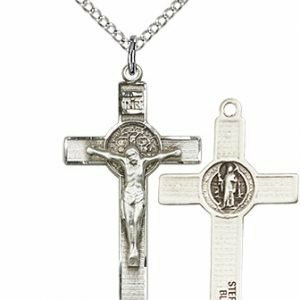 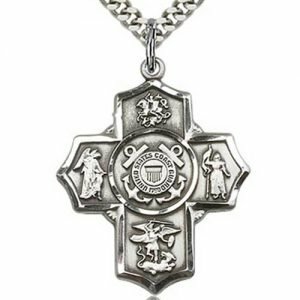 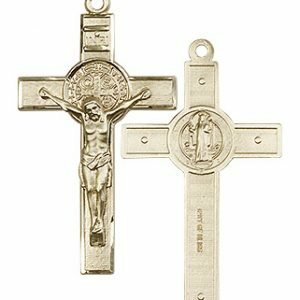 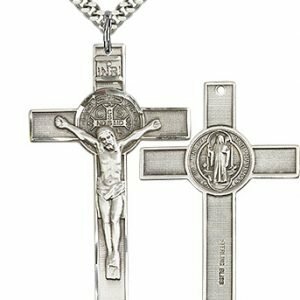 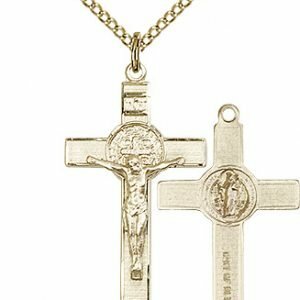 The products in this St. Benedict crucifix collection are made in the USA from high quality and durable sterling silver and 14kt gold.